Arsenal are looking increasingly like benefiting from Tottenham’s failure to sign Chelsea new-boy, Willian, with Juan Mata set to make room for the Brazilian by moving across London to Emirates. Mourinho is now spoilt for choice when it comes to attacking options, and could be keen to move the Spanish playmaker on before the end of the window. Wenger has promised the Gunners faithful – the majority of whom haven’t been shy to criticise their manager for a blatant lack of ambition in the transfer market – a marquee signing this summer, and with the close of the transfer window fast approaching, the time might be right to finally strike, with punters who bet on premier league transfers backing the Frenchman to go after Mata. Having already failed to sign a number of top class players that they had been strongly linked with this summer, Wenger can really make a statement of intent by luring Mata to Arsenal – and prove that his team can still attract top-class talent despite a run of over eight years without winning any silverware. Earlier in the summer, Mourinho played down talk of Mata leaving Stamford Bridge, insisting that he needs him for the upcoming campaign, but the extra competition for places at Chelsea, coupled with Arsenal’s virtually guaranteeing yet another season of Champions League football has seen football betting markets react quickly and Mata might see Wenger’s men a very attractive prospect for the midfielder as he looks to build on his promising start to life in English football. Having scored eighteen goals in just 61 Premiership starts for Chelsea, Wenger will be hoping that Mata can score the goals that Arsenal need to finally end their ten-year wait for the title – and that in the short-term, this capture will go some way towards silencing his critics. Arsenal boss Arsene Wenger has promised that he will be looking to bring a number of new faces to the club following the recent criticism of his transfer policy. Despite having money to spend this summer, the Frenchman has recruited just one player so far in the current window, with youngster Yaya Sanogo joining from Auxerre. The Gunners have been linked with a number of other big names but Wenger’s unwillingness to pay out the big bucks has once again seen him miss out on the likes of Gonzalo Higuain and Luiz Gustavo. Saturday’s season opening 3-1 defeat to Aston Villa, the football betting shock of the day, saw the manager come under even more pressure but his cause was helped by Wednesday's magnificent 3-0 win away at Fenerbahce, a result that means they are now almost guaranteed their place in the group stages of the Champions League. After the match Wenger was in bullish mood and promised the fans that he would be spending money before the close of the transfer window. Real Madrid duo Karim Benzema and Angel di Maria already being mentioned as possible targets while punters who bet on premier league transfers feel Wenger could plunder some divisional rivals for new players too. The 63-year-old has made a habit of doing his business late in the day and is now ready to splash the cash in order to help his team once again challenge for a place in the top four. “You have to understand there is still a long way to go," added Wenger. "The transfer market starts for me now and a lot of activity will happen between now and September 2. "From August 21 until September 2 you have 12 days, so a lot will happen. It starts now. "It is like a poker game. People hold their cards as long as possible and see what is happening out there. In the end, they go for decisions," he added. Arsenal manager Arsene Wenger believes that Santi Cazorla is one of the most underrated players in the Premier League and that he deserves more recognition from his fellow professionals. Cazorla who joined the Gunners from Malaga in the summer has become an integral part of Arsenal’s attacking machine and has netted 12 times in his 47 appearances this term; form which Wenger believes should have been good enough to prompt selection for the PFA team of the season. “I think he is a bit of an underrated player in the Premier League,” Wenger told football betting news reporters. “When you think he was not in the [PFA] team of the season picked by the players, it's quite harsh. Personally I would have put him in there. Cazorla has been outstanding this season and regardless of whether or not he made the PFA team of the year he would certainly walk in to most Premier League starting line-ups. He is certainly popular among Arsenal fans who bet on premier league games. Arsenal travel to Newcastle United on Sunday for their final game of the season knowing that their Champions League fate is in their own hands. The Magpies have little to play for after securing Premier League survival but Alan Pardew’s men certainly won’t make it easy for the Gunners. If Santi Cazorla continues to perform as well as he has been, however, then Newcastle will struggle to cope with him and Arsenal should come home from the North East with a comfortable three points. Good news on Wilshere at last! Arsenal have finally revealed some good news regarding Jack Wilshere’s ankle injury this week that is likely to please Gooners up and down the country. No, he hasn’t miraculously recovered and will still have minor surgery on the problem this summer but, because of this, the midfielder will be unavailable for England friendly duty when the national side meet up for two irrelevant matches! Granted, many Arsenal fans over at Betting.betfair would love to see Wilshere in an England shirt commanding the midfield as he so often does, but for the good of the player it is best he sits out of these meaningless friendlies. The 21-year-old has carried this fresh ankle knock for a while now and what he needs more than any player on this Arsenal team is a long rest this summer. It is less than a year since he returned from a career-threatening injury brought upon by too much football outside his club obligations and what he doesn’t need is another scare this summer. Had Wilshere been selected for Roy Hodgson’s squad for friendlies with Republic of Ireland and Brazil, we would have all watched the games in nervous apprehension our midfield star was about to break down on the field. No, keeping Wilshere away from England duty – even if it is to have surgery – is a real boost for both the player and Arsenal heading into the new campaign. Boss Arsene Wenger admitted before the Wigan match on Tuesday Wilshere has been playing with painkillers for the past few weeks to aid their battle for Champions League qualification and Arsenal cannot afford to have him in this state of fitness come August. The Gunners are facing a difficult summer ahead where Wenger’s transfer moves will be closely scrutinised and one thing he doesn’t need is the problem of finding a replacement midfielder early on in the season and therefore we should be delighted Wilshere isn’t in the England set-up. Arsene Wenger has insisted Oliver Giroud is capable of spearheading Arsenal’s end-of-season push to secure a place in next season’s Champions League. With the season nearing its close, Arsenal find themselves in that all important fourth spot but still fighting off the threat of Tottenham and Everton with five games remaining. Despite scoring 17-goals for Arsenal since his arrival from Montpellier last summer, Giroud has often come in for criticism from some areas of the supporters and from fans betting Premier League. A disappointing showing in the 0-0 draw to Everton did nothing to convince those doubters, but Giroud’s manager has been quick to insist the striker has an important part to play in Arsenal’s end-of-season run. "He is very extrovert, but as well he has a basic positive nature. He wants to do well, he is desperate to do well, but he is not the one who hides afterwards," Wenger said. "He stands up for what he has done and I feel he deals quite well with that. He wants to play every single game, he has a good basic stamina and he can absorb the games. I think you will see more from him next season, and there's a lot more to come from him," Wenger said. Giroud was always going to find it hard to fill the boots of Robin van Persie following his arrival in the Premier League, but that’s not to say the Frenchman hasn’t shown enough signs to suggest he can become a real success in England. Next season will be the real test to see just how big an impact Giroud can have for Arsenal, and the striker will be desperate that will also include playing the Champions League – although Manchester United stand in their way. Arsenal midfielder Aaron Ramsey believes Saturday’s trip to Fulham could hold the key to his side’s chances of finishing in the top four this season. After a number of difficult spells throughout the campaign, the Gunners seem to have found their form at the right time and following Tuesday’s goalless draw with Everton, they have now lost just once in their last 12 league outings. Their streak has helped them rise to third in the table and victory at Craven Cottage on Saturday will see them move five points clear of Tottenham, although they will have played two more matches, with punters who bet on football tipping them to hang onto that top four berth. The run-in has been quite kind to Arsene Wenger’s men as despite them still having to face Manchester United, their other fixtures are all against teams who are currently in the bottom half of the table. On the other hand, Spurs still have a number of tough games, including clashes against second placed Manchester City and fourth placed Chelsea. Ramsey remains confident that his side can still finish in the top four and believes three points at Fulham will almost seal the deal. "Tottenham and Chelsea still have tough games. Teams are going to drop points and we're still positive and confident we can finish in the top four," he added. Want away midfielder, Andrey Arshavin, has finally been granted permission to exit Arsenal this summer after Gunners boss, Arsene Wenger, conceded the Russian’s contract will not be extended. Arshavin joined Arsenal in 2009 after an impressive display for his national side at Euro 2008 yet never really hit it off with his teammates and football pundits on Betfair. He will forever be remembered for his four goals at Liverpool in April 2009 and his winning strike against Barcelona in the Champions League two seasons ago. In his first full campaign at the Emirates, he scored 12 goals in 39 appearances yet inconsistencies in his performances and a tendency to drop out of games meant he never cemented a place in the first team for long. "I don't think he will stay here, because he doesn't play enough," Wenger told reporters. "But he has shown 100% commitment at absolutely every session, he has been an example for everybody. Unfortunately for Wenger, many Arsenal fans will disagree with his appraisal of Arshavin’s commitment. For the Russian has often been caught wanting on the touchlines in games, unwilling to put his wonderful skill and footballing brain to good use against less talented opposition. It isn’t that he is a shirker or a bad player, it’s just that whatever brilliance he produced in training rarely made it onto the football field. He has never looked entirely comfortable playing on the left side of midfield and hasn’t the strength, it seems, to contest for a central role. 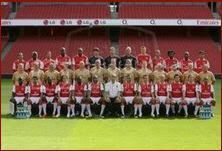 The majority of Arsenal fans are hoping to see the club shed much of its baggage this summer and Arshavin, along with Johan Djourou and Marouane Chamakh, quite rightly won’t be around for the 2013/14 season. Arsenal boss Arsene Wenger has told his players that they must stay calm and keep their nerve if they are to finish in the top four this season. The Gunners showed all of their fighting spirit on Saturday, as they came from a goal behind to beat Norwich 3-1 and move up to third in the Premier League table. Despite them now having played a game more than the Blues, the Emirates Stadium side will certainly be glad to have the points on the board and have the perfect chance to consolidate their position in the top four when they meet fellow Champions League hopefuls Everton on Tuesday. This is all a far cry from earlier in the season, when both fans and pundits who bet on football alike were questioning Wenger’s methods after he once again let some of the club’s best players’ leave in the summer, most notably skipper Robin van Persie who joined Manchester United. However the Frenchman has again proved his class by turning the situation around and will be confident of guiding his side to a top four finish once again. With six games left the situation is now in their hands and the run-in certainly suits them, with United the only team above them that they are still to face. Wenger knows his side cannot afford to drop anymore points and has called on them to hold their nerve and seal Champions League football. "It is a question of nerves," Wenger said to Premier League betting news reporters. "The win over Norwich was a balance of nerves, quality and intelligence. "We did not do anything stupid when we were 1-0 down and kept faith in our game. That side of the game will be important. "We know we cannot drop points and we have to go until the end with this consistency." Arsenal fans are probably feeling a sense of déjà vu at this point in time after another Champions League campaign ended with a stirring second leg fight back which concluded with them being within touching distance of a famous result. Twelve months ago the Gunners went out to AC Milan after failing to overcome a massive first leg deficit. Fast forward to 2013 and just replace Milan with Bayern Munich as the architects of Arsenal's downfall. The 2-0 win in Germany will restore some of the pride that has been lost in what has arguably been Arsene Wenger's toughest season in charge of the club. Embarrassing exits at the hands of lower league opposition from both domestic cup competitions, coupled with some inconsistent league form that has put their Champions League place in doubt, has seen Wenger's position at the Emirates Stadium seriously questioned for the first time in his 16-year reign. A content Arsenal fan is hard to find this season but many will have watched the game with Bayern and ended up feeling more positive about the manager. You might argue he should have thrown caution to the wind earlier in the search of the three goals Arsenal needed to go through, but overall he got his team selection and tactics right. Lee Dixon Tips articles, had begun trotting out the same lines about whether he should stay and why he hasn't dipped into Arsenal's much talked about war chest. The truth of the matter is until Wenger can win another trophy with Arsenal the voices of those critics questioning his position will always be heard. The little battles the Frenchman wins, like in Germany on Wednesday, will be quickly forgotten for now. It is the big battles Wenger must now get the better of if he is to realise his dream of forging another all-conquering Arsenal team. Arsene Wenger has come out fighting once more; dismissing reports he is considering his future at Arsenal and insists he is as hungry as ever. The Frenchman has been under steadily increasing pressure over recent seasons as each year passes without a major trophy. He is, to a certain extent, a victim of his own success, given the marvellous ‘invincibles’ side he built in 2004 and the raised expectations that has brought since. However, things have certainly come to a head this season with the club sliding down the league table, crashing out of both cups to lower league opposition and were most recently humbled 3-1 at home to Bayern Munich on Wednesday. Prior to that game, Wenger gave an extraordinary press conference, clearly riled by incorrect reports he had been offered a new contract. He raged and ranted at reporters in a way totally at odds with his usual calm thoughtful demeanour, adding weight to the theory on Betfair that he is feeling the heat at the Emirates Stadium. Wenger stormed down the tunnel after the Bayern defeat in midweek and refused to speak to the media afterwards, though when he did attend a press conference a few days later where his mood had unsurprisingly improved. The latest round of speculation in the aftermath of their latest defeat suggested Wenger was considering his future, something that inevitably dominated the gathered reporters’ questioning at the Gunners’ training ground. Asked directly if he had considered his position this week, Wenger said: "Never. Not one second. I don't think that [motivation] spark has anything to do with the length of your life. It is just that's how you are and you're motivated by how much you want to win and how much you are a winner. Arsenal boss Arsene Wenger has demanded that his side put the disappointment of Saturday’s shock FA Cup defeat to Blackburn behind them and focus on earning a place in the top four. The Gunners haven’t won a major trophy for almost eight years but after making it through to the fifth round of the FA Cup, they were expected to be one of the main contenders to reach Wembley. However, like so many other times over the last few seasons, things didn’t go to plan for the North Londoners as they were knocked out by the Championship side on Saturday. With them already being out of the title race and looking unlikely to win the Champions League, the FA Cup was seen as a huge opportunity but after deciding to rest a host of his stars, Wenger’s men struggled to build any momentum and went down to Colin Kazim-Richards’ second half effort. The defeat has seen more pressure heaped on the veteran Frenchman, with some fans now believing that his time at the club is up and that it would be better if he left. Indeed punters who bet on premier league games feel their near rivals Tottenham are overwhelming favourites to finish in the top four. 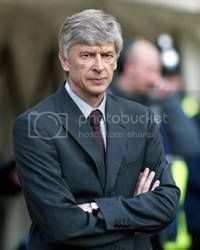 However, the 63-year-old is refusing to bow to the pressure and has now called on his players to prove that they are good enough to play for such an illustrious club as Arsenal. "It is very painful and disappointing to lose a game like that. 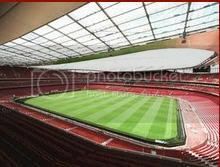 It is now important to focus on the next game," the Gunners boss said to premier league betting news reporters. "We were not good enough to win today. It's as simple as that. "Not one defeat is acceptable. You are in this job to win every single game. "The season is not over. For you maybe, not for me. If we feel sorry for ourselves we would be completely wrong,” he added. Arsenal defender Bacary Sagna says he‘s desperate to get his hands on some silverware before he eventually leaves the club. Sagna moved to North London in 2007 from Auxerre and his signing was seen a major coup, as Arsene Wenger looked to add some extra experience to his exciting young squad. However, despite a number of strong campaigns which have seen the 29-year-old twice voted into the PFA Team of the Year, the French international is still to win a major trophy at the Emirates Stadium. This has led to rumours that he is unhappy with the situation at the club and that he has grown tired of Wenger’s preference for nurturing his own talent rather than buying already established stars – with punters who bet on football tipping him to leave. Arsenal have also developed a habit over the last few years of selling their best players to their rivals, an issue that has understandably caused unrest amongst some of the more experienced members of the squad. Sagna’s current contract runs until the summer of 2014 but a number of top European sides have already shown interest in signing him in the near future, with both Inter Milan and Paris Saint-Germain thought to be monitoring his situation. However, Sagna admits he doesn’t know what the future holds but insists he will continue to give everything for the club in their pursuit of silverware. "Honestly, I'm under contract with Arsenal and I give everything so long as I am under contract with my club,” he said to premier league betting news reporters. "Before leaving, because I will leave here one day, I would like to win something with my club. I don't want to answer yes or no now because in football you never know what will happen." Arsenal’s hopes of progressing past a difficult fourth-round FA Cup tie with Brighton were given a real boost on Wednesday’s night as the Gunners ripped apart Premier League opponents West Ham in a 5-1 rout at the Emirates. Arsene Wenger’s side travel to the south coast on Saturday afternoon looking to avoid a major upset in the FA Cup odds against a spirited Championship side. Wenger will no doubt be wary of Brighton, who knocked Newcastle United out of the competition three weeks ago with a superb 2-0 display at Falmer Stadium. Without a loss in five games Gus Poyet’s side are beginning to find their feet in the Championship and currently sit one place outside the relegation zone.If you are looking for tips football-wise thenSeagulls Top scorer Craig Mackail-Smith must fancy his chances against an often-spooked Arsenal defence and is a likely first-scorer. While Will Buckley will once again prove a major contributor to Poyet’s midfield engine. Brighton will need men on their game, however, for Arsenal head into the clash having swept through West Ham in the league. Olivier Giroud will probably start after finally finding his goalscoring touch – netting a brace past Jussi Jaaskelainen – while Theo Walcott scored his 16th of the season in the red shirt. On Brighton’s magnificent surface Arsenal should find their passing game easy to administer and Wenger may opt to draft in Alex Oxlade-Chamberlain and Andrei Arshavin to start. Emmanuel Frimpong continues his recovery from injury and should Wenger give the midfielder a place in the XI then Buckley and co. will have a real job linking up with the forward line. This FA Cup tie promises to be deeply enthralling and an upset is very much on the cards. Both teams could do with a win to boost their league credentials and will hope to be in the pot for the fifth-round draw on Sunday evening.